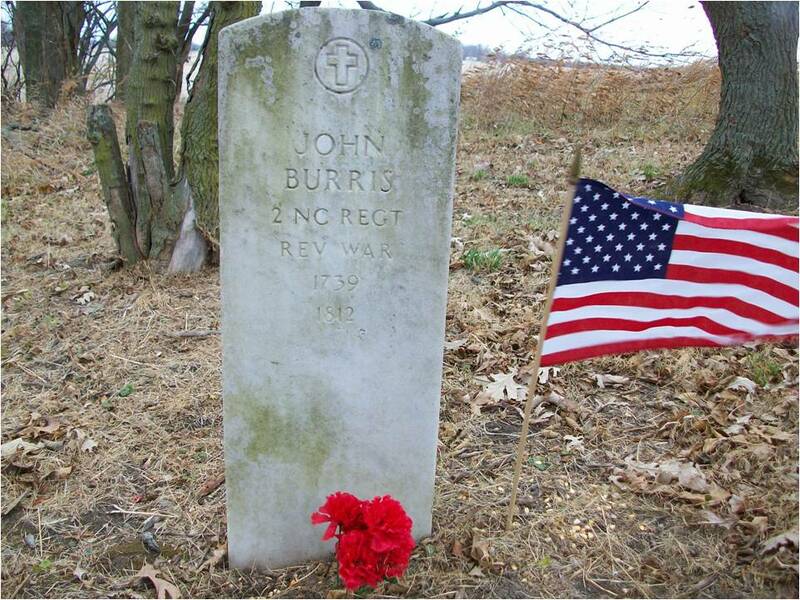 On this date the 24th of April in 1739, John C. Burris, Sr. was born in North Carolina to parents John Burris and Ester Fadden. John Burris married Ester Terry in were the parents of our 5th paternal great grandfather, Daniel Burris and 8 other children. At various times John and Esther were members of New Garden and Westfield Monthly Meeting (Religious Society of Friends – Quaker) in NC; and Miami and Fall Creek Monthly Meeting in OH. John served in the French and Indian War under Capt. William Christian in 1764; and in the Revolutionary War, NC 2nd Reg., in 1778.